Trevor commenced employment with Mercer Mooney in 1987 at the West Perth markets whilst studying a degree in business part-time at Curtin University. He worked in a variety of roles including supervisory and sales. In 1995 Trevor joined QPI in a supervisory role, before being appointed QA Manager. The role demands of the QAdepartment have continued to expand, as has the need for resources which QPI Executive Management have always been supportive of. Trevor derives much satisfaction from assisting growers to achieve and maintain their on-farm food safety programs and using his knowledge and experience to continuously improve QPI’s Food Quality and Safety Management System. He has built strong relationships over the years with growers, suppliers, industry bodies and government departments. Trevor is passionate about encouraging and supporting best-practice processes to ensure food safety and quality top the end consumer. Samantha has been working alongside Trevor since 2014 in the Quality Assurance Department. She has a degree in Food Science and Technology from Curtin University and previously worked with grain and FMCG. 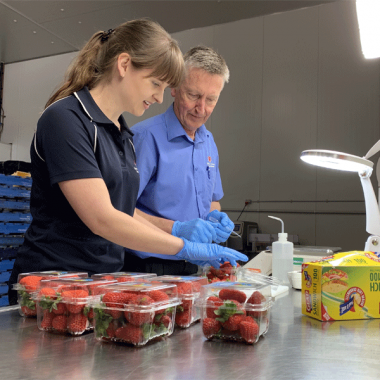 A typical day would include product inspections, facility site inspections and liaising with growers about their produce testing, QA certification and legal compliance requirements. Samantha’s technological and analytical skills have been beneficial to the QA Dept’s processing and interpretation of data, and in helping our understanding of produce behaviour and shelf life. 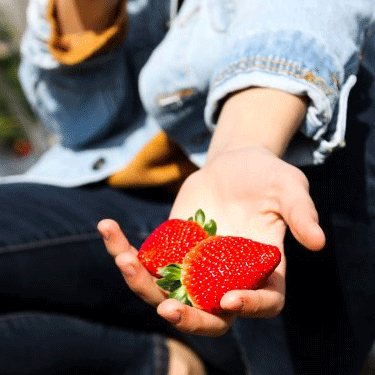 She enjoys the direct contact she has with growers and working with all staff to continue building QPI’s food safety culture to ensure QPI is always the number one choice for customers when they want safe, fresh, good quality produce.